For the SQL Change Automation team, it’s important that we take time out from development, occasionally, to explore some of the issues our customers face when automating database deployment. Following on from previous posts about cross-database and cross-server dependencies, this article shares some of our thoughts about how to deal with production database drift. If you’re using automated deployment for your databases, direct changes to your production environment can cause a headache. These unmanaged changes are known as database drift. To better understand the issues this can cause, our team created a test application we could work with; this was a system for a fictional company called Lightning Works. We used SQL Change Automation and Octopus Deploy to deploy two databases, a website, and associated services. The two databases were our Foreign Exchange database, Forex, and the LightningWorks database used to hold the application data. The problem with production database drift occurred when someone added an index directly to a production database. I was making some changes to the GetLatestExchangeRate stored procedure in the Forex database. 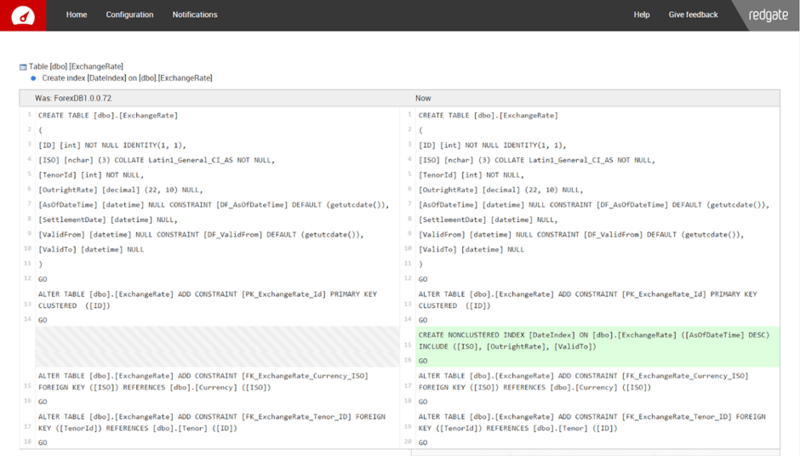 I checked my changes into SQL Source Control and then deployed them to the Quality Assurance (QA) environment. Using SQL Change Automation, the QA database is made to look exactly like the database in source control. This is done to ensure full knowledge of what the database will look like after deployment. The deployment to QA was successful. I then tried to deploy to our production environment. Because we use SQL Change Automation in our deployment process, I could review the script that would run on the production database if I continued with the deployment. But when I looked at the script, I noticed there was a change to a table that I hadn’t touched. Someone had added an index to the ExchangeRate table in the production database. I wanted to keep this change because querying had become slow and adding an index had improved performance. But because this index was not checked into source control, it would be dropped as part of my deployment. So DLM Dashboard would have helped us to spot this problem. But it wouldn’t stop people making direct changes to the production database in the first place. In order to do this, I wanted to lock down permissions. However, Peter wasn’t convinced initially. He felt that being able to make changes directly to the production database was useful. For example, in this case the performance issue was only on the production database. However, I showed him that he could reproduce the problem and fix it on his development database. This would then be checked into source control and deployed to the production environment as part of the automated process. Eventually we agreed this was a better solution for us, and locked down the permissions. This would make sure that all changes first go through testing and QA, and only then to the production environment. To achieve this, we created a SQL Change Automation Windows user. Our Windows user was associated with a corresponding SQL Server user on the production server and databases. Only this user could modify the schema. Now, when Peter, or anyone else, wants to make a change to the production database, it must be checked into source control and go through the standard deployment procedure. All in all, locking down the permissions on your production server would seem to be the best way to go. This prevents direct changes to your production database. No changes will be lost because they must be checked into source control and go through the automated deployment process. If emergency access is required to the production database, then consider using a ticketed procedure that logs exactly when and why permissions were elevated, and when they were revoked. Also, consider using DLM Dashboard to give you a heads-up on when these changes are made. How do you deal with changes made directly to your production databases? Please share your methods in the comments section below. 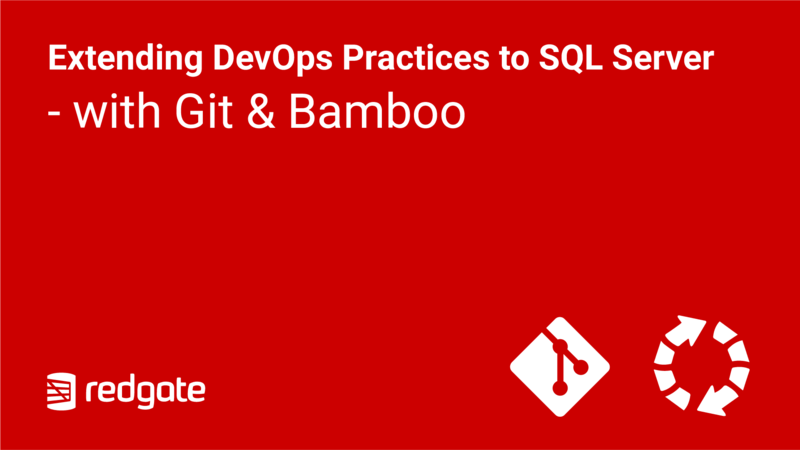 Tom Austin describes the challenges of deploying changes to existing databases, the different ways to manage the source code for the database, and then how SQL Change Automation can automate the build and deployment processes for the database. “Understanding the existing product consumes roughly 30 percent of the total maintenance time.” Facts and Fallacies of Software Engineering by Robert L. Glass. You should be documenting your database schema. I know it, you know it. Having current, accurate documentation available accelerates time-to-resolution for faults, aids tech-to-business conversations, and is a regulatory requirement for a great number of firms. 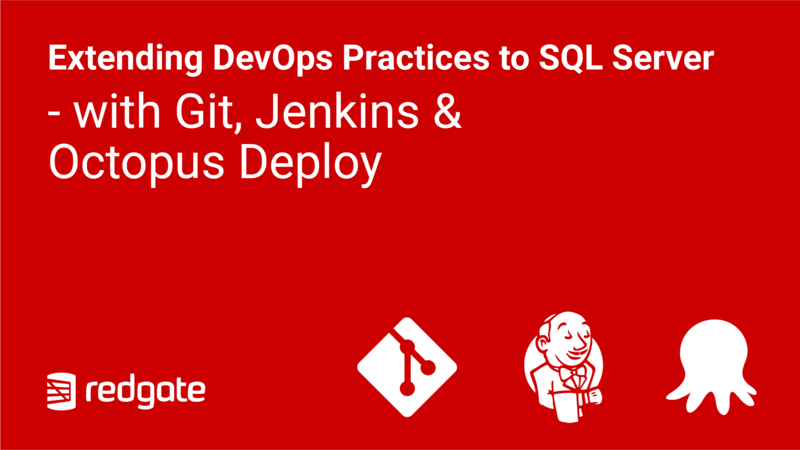 Join Microsoft Data Platform MVP Grant Fritchey to learn how Redgate’s Database DevOps solution works with Git and Jenkins to improve your database development and deployment processes.